Deciding on the best gifts for camping enthusiasts can prove to be a daunting and difficult task. The gift suggestions on this list will delight any seasoned camper or hiker, as well as those at the beginner level. Each of the gifts will give a great service or services to its user. They are useful for both men and women who love the outdoors and trying out new gadgets. All will no doubt make your outdoor experience much more enjoyable and improve both your safety and comfort experience. Rebecca is a marketing enthusiast and an influencer in different niches. She has a special interest in the impact of visual branding on business growth. She has been writing for a long time now and has a interest in traveling as well. Considering the remoteness of most camping and hiking expeditions, the need for a reliable heat source is almost obvious. A Camp Stove is an excellent source of heat and this one from BioLite also doubles as a charging station for electronic devices. You will be able to charge your phone while ensuring that you have the necessary heat to cook and get cozy. Using small pieces of wood, the Camp Stove will be able to produce enough heat for boiling a liter of water in under five minutes. The best part is that the heat produced during cooking is effectively used to give out sufficient charge. Which is enough to charge phones and other electronic devices. Continuous upgrades of camp stoves have resulted in the production of more power and less use of wood. Most of these devices also feature an LCD display for settings and the user's easy interaction with the controls. Campers and hikers constantly need a supply of fresh drinking water. A source of clean water might not be accessible everywhere. The available sources might provide water full of germs and bacteria. In such cases, the possession of a water purification device is crucial. By using a water purification device, you can refill from almost any water source and use its purification system to get rid of 99.999% of harmful bacteria, protozoa and viruses. 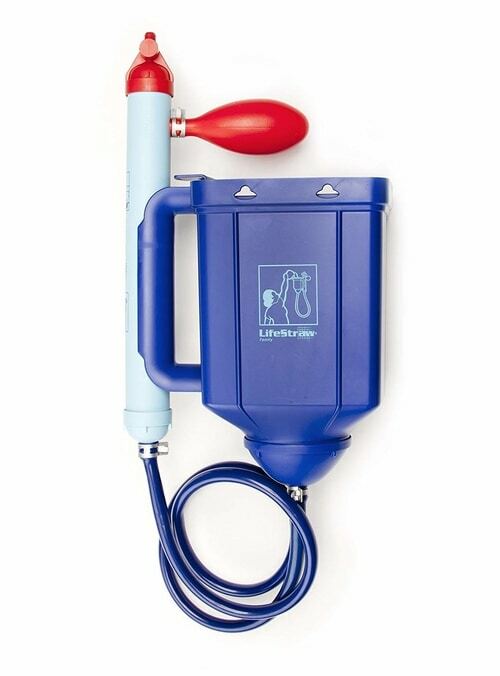 This Family Water Purification System from LifeStraw produces a steady supply of drinkable water every hour. The refillable container comes in different sizes, which include 5 and 12 liters. The use of a water purification system does not need any kind of power source. It also gives considerable value with its complete cycle of water purification giving out more than 10,000 liters in its lifecycle. Campers and hikers are set to enjoy a supply of clean water through this water purification system. Having an outdoor lantern will prove to be a great addition to this list of the best gifts for camping enthusiasts. Most of the outdoor lanterns are lightweight and compact-sized with a relatively high level of light output. In addition to its primary function of giving out light, this Outdoor Lantern from Renogy also acts as Power Bank. So recharging your phone while out in the wilderness will no longer be an issue. An additional feature that makes this lantern rank among the top choices for gifts suitable for camping and hiking is its resistance to various elements. It's water and dust resistant, ensuring that it gives quality service over a long period of time. Camping and hiking expeditions often involve carrying large-sized luggage. It is advisable to have a carrier mechanism for convenient carriage of luggage from one point of the hiking and camping route to another. This necessitates the use of a roof rack that fits your vehicle . The availability of different designs on the market makes it possible for you to choose the best according to your need. Some of the features you should look out for as you shop for the best roof rack includes accurate fit to the size of your vehicle, non-rust material and ability to hold the weight of your luggage. Continued exposure to the elements might weaken the structure of your roof rack, affecting the quality of service you get from it. Camping and hiking enthusiasts can easily carry their luggage from one point to the next with the help of a quality roof rack such as this one from Highland. The ability to carry luggage in a lightweight backpack is a great idea for an enthusiastic camper or hiker. The need for flexibility and control fits the description of a durable and lightweight piece of equipment for the camping and hiking expedition. 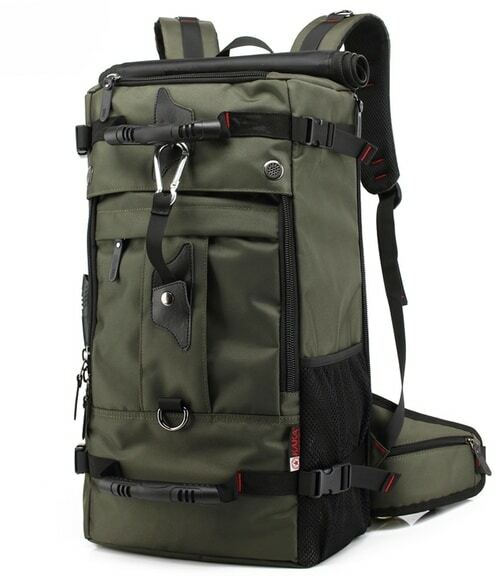 The ideal backpack for camping should be made of highly durable material, which must also be water resistant. In addition to the reduced weight, the ideal backpack should also ensure maximum conform in the course of your camping and hiking expedition. Effective weight distribution system ensures that the enthusiastic hiker and camper can carry considerable weight without the risk of sustaining injuries. The different compartments in such a backpack like this one from SUNWIN will allow you to carry a bottle of Eagle Rare without any worries. As one of the best-recommended gift ideas for camping and hiking enthusiasts, a lightweight and durable backpack will make each expedition a memorable experience. When it comes to camping and hiking activities, one cannot be well-prepared enough for emergencies. Adequate preparation before the hiking and camping expedition will ensure that you are all set if the worst were ever to happen. 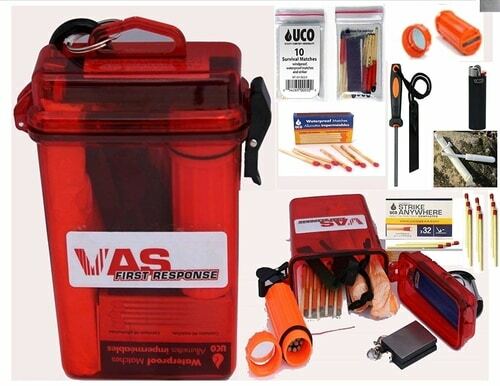 Having a fire-lighting kit like this VAS Fire Box will come in handy when you need to start an emergency fire. The cost associated with most fire-lighting is pocket-friendly as compared to its invaluable use in the outdoors. Some of the great features associated with the majority of emergency fire starting kits include paraffin coated tinder cylinders. This will enable campers and hikers to easily build a fire whenever required. The tinder does not go out easily but stays burning for several minutes. This will allow the additional material to light even in damp and moist conditions. Hence, it is not easy to overlook the need for an emergency fire starting kit. However, it might mean the difference between having a great or disappointing camping and hiking experience. Camping and hiking enthusiasts require many such items for an amazing outdoor experience. This short list of the best gifts for camping enthusiasts is sure to make your next trip an enjoyable one. One thing that wasn't on the list was a tent and that's because it really comes down to how many people will be going on your trip. So if you are in need of a great tent, check out this article: Best Survival Tent For You & Your Family.